IMHO Vertere is the most under-rated and ignored hi-end hi fi brand in Hong Kong. Now that Chris should have signed the agreement with Touraj and become the new HK distributor, I think Vertere deserves a new and dedicated post in the AE forum. 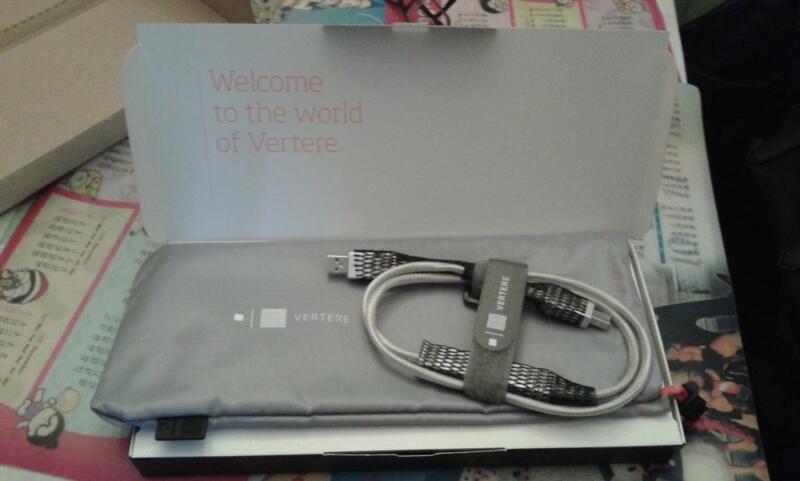 Chris asked me to take Veretere's top HB Series USB cable for home trial 10 days ago. He claimed that it KO his Crystal Dreamline Plus usb cable easily. At that time, I gave him just a lukewarm response. I have been using a Totaldac usb cable and a Light Harmonic LightSpeed usb cable happily. The former is in my opinion a best-buy, surpassing many brands/models that are much more expensive. Its musicality/analogue-ness is a heavenly-match with CAS. But when I inserted the Vertere HB in my audio system, my jaw dropped to floor. It betters both of my usb cables in all aspects at once! After 'boiling' it for 100 hours, I listened to it again carefully and confirmed that it is the best usb cable that I have ever listened to. It's all-rounded without any obvious pitfall. It has supreme musicality yet the freq extensions and resolution are not compromised. The soundstage is wide and deep and there are so many layers within. What I wanted to say in the last sentence was : Hope that other Vertere owners can share their views/experience in this Vertere post. Thanks for the heads up! TJ is an analog man. I suppose we are all waiting for the HB phono cable. Anyway, PT never bluffs. I will soon be given a brutal demo between Vetere HB and Siltech Double Crown Golden Universal USB on trinity. I will post some pictures when I am there. Please also make sure you have auditioned the Vertere interconnect which also bears a very humble look. The USB cable, the best I have ever listened, period. The difference with the 2nd best is not a matter of taste, it is a clear KO. Can you elaborate what are the stength of Vetere USB over the one that you were using? I visited Chris's home for audition of the Troy signature two weeks ago. It was impressive and I ordered one. Occasionally, Chris introduced the Vertere HB usb to me. We took the album 伶歌-The Song of Songs for the trial especially playing track 1 and track 10. Fantastic! Vertere offered me a head-on view of a huge sound stage. The male voice was lively strength from lungs with ultra resolution. At that moment, Chris showed me the precious Crystal Dreamline plus usb and replaced the Vertere. Oh! Crystal was losing! It was seemed to be missing and undelivered the true signal as well. I won't say completely KO. But now I have a new benchmark for choosing audio components. Thanks Chris! Let me feel more and learn more! It's quiet here guys. What are you guys waiting for? I guess we are very tired of waiting for linebacker XE, troy signature and trinity amps. Are we all waiting for the demo of the Vetere reference arm next week? I wonder how would Vetere compares to Durand Telos. From pic, I can see craftsmanship of Vetere is another class. Durand telos is the best arm I have ever experienced at AE so far. There are basically no reviews and users' comments on the Vetere reference arm at all out there. Probably the price is so damn high. But price is never really a concern at the ultra end. There are already USD100,000 speaker cable out there. Does it justify? We shall know soon. Do any members here have experience on Vertere's analog interconnect cables? There is only one pair HB flagship at AE between Takumi K15 and the Amati mono block. From the writings of Marvel, it seemed to me that he had specifically listened to them through comparison with others. Yes indeed, myself and Marvel Junior (Marcus) both ear witness the power of Vertere interconnect. Although I cannot safely conclude Vertere is better than the house cable of AE: Goebel, I am pretty sure Goebel has not knocked this new challenger hands down with clear KO. In a system cabled with a whole suite of Goebel, adding a pair of this ultra highend cable is really the iceing on the cake!! The Vetere HB USB is damn so good! The trinity has reached uncharted territory. It betters the absolute creation TIM USB by a wide wide margin. This is one of the most dramatic improvement ever since the arrival of Linebacker XE. I concur totally. I never expect such USB cable can render magic of such magnitude. The heads on ABAB comparison against Siltech Golden Universal Double Crown at AE makes me absolutely convinced serious inflation of so called mainstream cable prices noy necessarily with the associated quality. It kills the siltech, and that is the most expensive siltech usb. I would never expect PT is so crazy to buy it to illustrate the point. Bravo!